"... she delivers with delicate phrasing, colorful touches and accuracy. A true gift." No. 3 in G Major. Vivace. No. 15 in D-Flat Major. Sostenuto "La goutte d'eau"
Prelude No. 25 in A-Flat Major, Op. posth. "... reflects a true musical personality ... there is everything that makes a great performance. 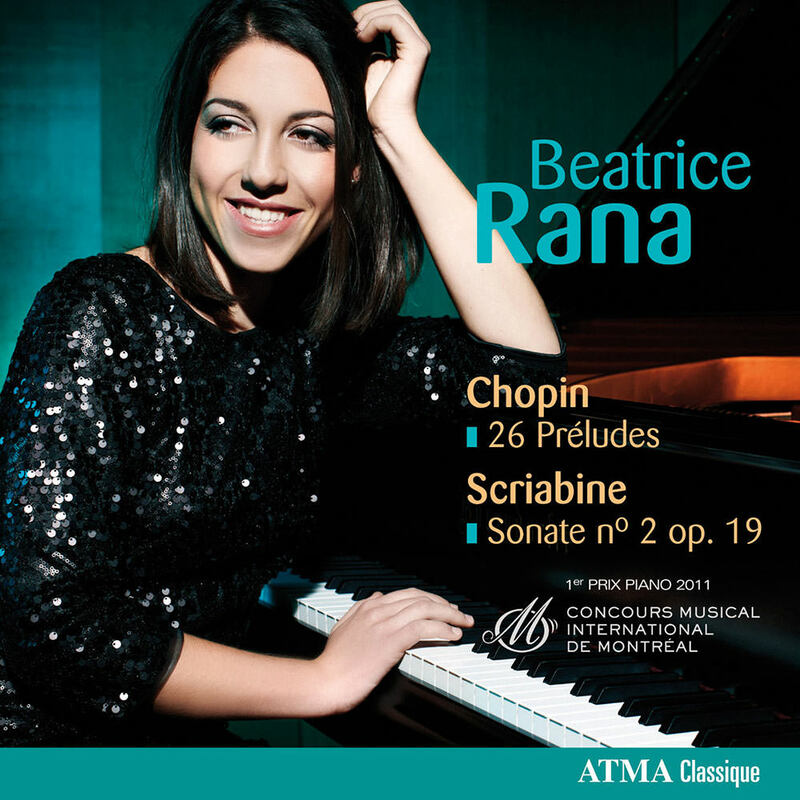 In June 2011, Beatrice Rana, then 18, became one of the youngest first prize winners ever at the Montreal International Music Competition. On this 2012 album she presents Chopin’s Preludes Op. 28 and Scriabin’s Sonata No. 2 Op.19: thrilling repertoire for this outstanding young pianist.